HD IP POE Extender is new designed Ethernet Device. 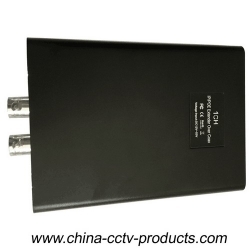 This device is designed to extend IP camera signal over existing coaxial cable, support 10pcs IP cameras working in one group simultaneously. The max distance is up to 2500M, network max baud rate is up to 100Mbps. This series products are widely used in CCTV surveillance and remote network extension. 1. Transmit 10/100 Mb Full Duplex Ethernet up to 8000ft (2500m) or more over Coax Cable. Powers PoE, or High Power PoE cameras, up to 60 watts. 8. Protection: Excellent Circuit Isolation protection, effectively enhance the device ability of lightning proof, anti-static, anti-interference. Before installation, check the device and accessories. If meet any parts loss, you can just contact us. 4.Check the installation is right, device is no damage, guarantee all the link is stable, connect the power supply cable, to power the whole system. 5.After above detection, if the trouble is still not solved, please contact us.